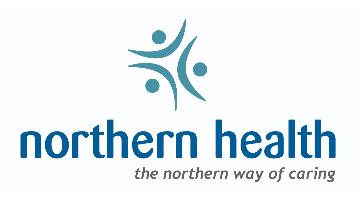 Northern Health is seeking a family practitioner with C-section and advanced operative delivery skills. Surgery would be limited to C-sections only. Prenatal Clinic work is required. Opportunities for GP Clinic work; Anaesthesia and Emergency Room shifts also available if qualified. Put your enhanced skills training to good use in this varied and diverse practice opportunity! Fort St. John Hospital is a new state-of-the art 55 bed hospital and 123 bed residential care facility serving a population of approximately 20,000. It has a state-of-the art Birthing Centre with 600+ deliveries per year and CS call shared between a solo specialist OBG and advanced skills FPs. Prenatal and primary care OB is a shared model located in the hospital adjacent to the Delivery Suite. Fort St. John is the cultural and commercial centre of the region, offering a rural lifestyle with modern conveniences such as shopping and entertainment. Recreational opportunities in the area include boating, kayaking, hiking, fishing, hunting, camping, cross-country skiing, snowmobiling, snowshoeing, speed-skating, curling, hockey, yoga, and dance. Fort St. John always has something for you to do whether it's summer or winter! The natural beauty of Fort St. John and the spectacular Peace River Valley provides a varied terrain ideal for outdoor activities. Our local airport offers numerous daily flights on WestJet, Air Canada, and Central Mountain Air. Estimated Remuneration: $350,000 if maternity care augmented by clinical work, emergency work etc. All of which are available.